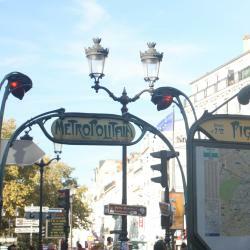 Looking for hotels near Porte de Clichy Metro Station? 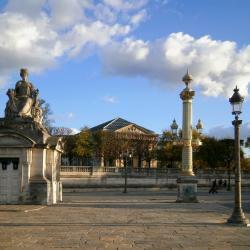 The B Montmartre Hotel is located next to Place de Clichy Metro station in the lively Montmartre district of Paris. We loved the location, the courtyard and the room itself, but the Staff stole the show , esp. ibis Styles Paris Mairie De Clichy is located in Clichy, 1.9 mi from central Paris and next to Mairie de Clichy Metro Station. It offers modern guest rooms with satellite TV and free WiFi access. Very kind and professional staff. Good location just by the metro station. Set in Paris’ 17th arrondissement, a 15-minute walk from the historic district of Montmartre and The Moulin Rouge, this 3 star hotel offers en suite guestrooms with free WiFi. I've known this hotel and been a regular guest for almost ten years now. Located in Paris, 2297 feet from Parc Monceau, this hotel has air-conditioned and soundproofed rooms and suites with free Wi-Fi and a fully equipped kitchen. I have really enjoyed my stay at this Hotel the view was amazing of the Tower. 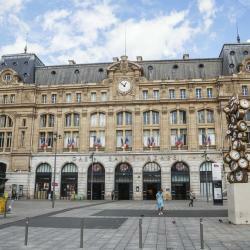 Hotels with great access to Porte de Clichy Metro Station! This hotel is located on the lively Rue de Lévis, a pedestrianized street lined with colorful market stalls. 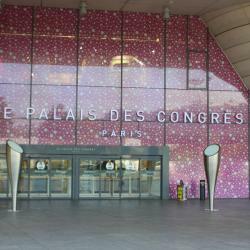 Great location, walk out the hotel straight into the heart of the culture of Paris. Excelsior Batignolles is a charming hotel located in the heart of the Batignolles district, close to Opera and Montmartre, with good transport facilities (Station Rome and Place de Clichy are the... Cute and good renovated hotel! Great location!